The 2014 – 2015 school year has arrived – in like a lion. The anticipation and anxiety (mostly from Mr A and I) fill the air at 716. 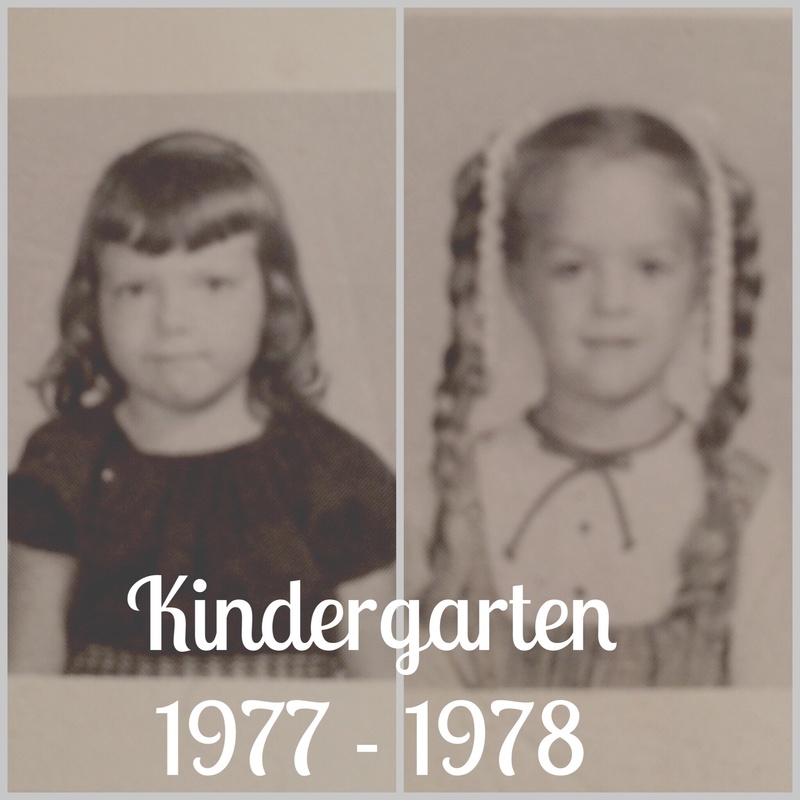 This year we will send off a Second Grader and…our baby…to Kindergarten – torture. I really don’t want to be “that Mom.” I have spent the last several nights tossing and turning in my bed. I secretly sob in the shower and even cry at QT as I get my giant iced tea. I have been staring at our girls at the dinner table like a mad, troubled stalker. No use – time rolls on and sometimes it’s over your heart. I keep reminding myself of the old adage, do not regret growing up or older, it is a privilege denied to many. This rite of passage is a blessing and I am grateful for my puffy eyes and their carefully sharpened #2 lead pencils. Today, however, I pine for a universal pause button. Children fill our lives with magic and possibility. They force us to look ahead but at the same time help us to remember. I love everything about the potential of a new box of Crayons. The smell alone signals creative juices and rarely did I touch one to my Big Chief paper before inhaling the possibilities it held. I love the neatness and promise of their perfectly sharpened points. 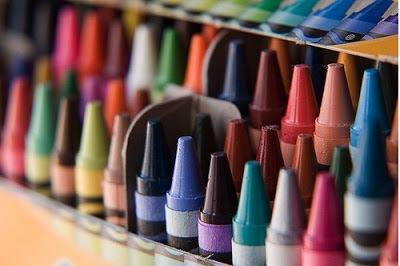 Everything about a box of Crayons was awesome then – as it is now. The first day of school in the fall of 1977, I was a four year old Kindergartener. I was a cry baby, half the size of the other kids, and on that long first day of Kindergarten I met one of my dearest friends to this day – Sherry. I loved her long hair and the white Cinderella watch that graced her tiny wrist. It’s hard to believe that 5 year olds can and do forge lifelong friendships. Children show us that through friendships and an appetite for new experiences, we have limitless possibilities – it’s contagious. I am confident that tomorrow, as we drop off the LaLas for the first day of school 2014, I will be just peachy. Back in 1977, with my horrible bangs and polyester dress, it was tough but that first day pales in comparison to all tomorrow holds. I clearly remember being shaken as Anabelle trotted off to Kindergarten with her Keds and Lands End backpack. I do not recognize the blubbering wreck that stares back at me in the mirror as Vivienne preps for her first day tomorrow. I have lost it. I believe it is our job to give our kids roots and wings – it’s the whole wings thing that is traumatic. I pray you meet a kind friend with a Cinderella watch on day one and that day two will be easier (most of all for me.) Remember the YouTube video in 2009 that featured that adorable curly headed little girl singing her affirmations into the bathroom mirror. “I can do anything good, yeah, yeah, yeah.” This will be my mantra tomorrow. The LaLa’s, they are ready – full steam ahead. It’s this Mama that needs some affirmation – I can do anything good, sniff, sniff, sniff. Right there with ya Becki! Sniff, sniff, sniff. Luckily, Hilltop gave both of our babies a great springboard for this momentous day. A big hug to you. I know they are ready…but we are not. I’m proud to share these angels and experiences with you. Love,Love. Head proof reader…best hubs…amazing Daddy…trifecta. Hang in there friend; first days never get easier. But watching our children grow makes it all worth it! Becki – We’ve come a long way! I think when you have been friends as long as we have, it almost counts as sisters in some way. As I get older, I see what a rare blessing our friendship is – I hope that our children will build some friendships that will last a lifetime while they are children. You think it is crazy for your baby to be going to Kindergarten …just wait till you are blogging about being a grandmother, haha! Love you! Thank you so much…I am afraid you are right! I appreciate you reading the blog but most of all for being Aunt Ruth. We love you!